We don’t want you and your new horsebox to fall foul of the law, so here are a few basic facts and figures, plus some helpful information on license requirements, towing a trailer, payloads and Driving Hour’s Regulations etc. Can I drive a 3.5 tonne horsebox on my license? YES — if you passed your driving test after 1-JAN-1997, you can drive a vehicle up to 3500kg(Maximum Authorised Mass) i.e. GWT (Gross Vehicle Weight). This will be marked on your licence as category B. YES — if you passed your licence before 1-JAN-1997, you can drive a vehicle up to 7500kg MAM (GVW). 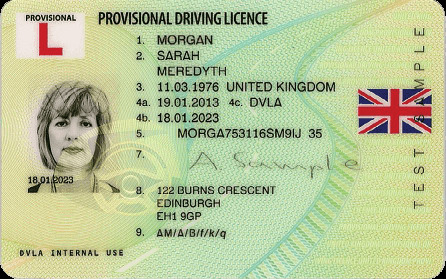 This will be marked on your licence as category C1. YES — if you passed your test but only have a category B licence, you can still drive a 3,500kg horsebox, but you will have to sit and pass a test for a category C1 in order to drive a 7500kg horsebox. This will involve sitting and passing a provisional licence (theory), and then passing a practical driving test. No matter when you passed your test, if you want to drive a vehicle over 7500kg MAM (GVW), you must hold a category C licence. Again, this will involve sitting and passing a provisional licence for this category and then sitting and passing a practical driving test. What size trailer am I allowed to tow? Category C1 Vehicles: Vehicles between 3.5t & 7.5t MAM (GVW) — If you passed your test before 01-JAN-1997 you are entitled to drive a vehicle and trailer combination not exceeding 8.25t MAM (GVW), but conditions apply. If you passed your test after 01-JAN-1997 you are limited to drive vehicles up to 3.5t MAM (GVW), towing a trailer up to 750kg, or a total combined weight of up to 3.5t MAM (GVW), as long as the MAM (GVW) of the trailer does not exceed the unladen mass of the towing vehicle. Using the example of a Landrover Discovery, which has an unladen weight of approximately 2200kg. If you hold a Cat B licence you can tow a trailer up to 1300kg., but you must also calculate the weight of people in the vehicle and general load, which will reduce the towing weight, as you cannot exceed 3.5t combined weight. Using the same Landrover Discovery example for a Cat C1 licence holder, the same vehicle is permitted to tow a braked trailer up to a MAM (GVW) of 3.5t. However you must not exceed the kerb weight of the towing vehicle, which in this example is 2.2t. Therefore the total combination weight will be 4.4t. A two-bay trailer, as an example, would have an unladen weight of approximately 900 kg. If you then add 2 horses at 600kg each, plus food and tack at 100kg., you’ll end up at a gross weight of 2.2t. This would be the maximum weight permissible towing behind a Landriver Discovery with a C1 licence, but would not be permissible with a Cat. B licence. Will I need an Operators Licence? In general, if you are going to operate a vehicle or vehicle trailer combination, over 3.5t MAM (GVW) for “hire & reward”, then you will need an Operators Licence. Hire & Reward means expecting any payment for the transportation of goods (including horses). An Operators Licence is obtained through DVSA, and you must meet certain requirements. Proof of a six weekly maintenance schedule. Complying with the driving hours rules & regulations. The holding of a Certificate of Professional Competency or appointing someone with a CPC. A system for filing and managing all records. Someone with a 7.5t horsebox, who transports their own horse/s to amateur shows, and it is not their main occupation, does not need to hold an Operators Licence, and does not fall within the driving hours regulations. However, as soon as this person excepts payment for transporting someone else’s horse to the same show, they would fall under the Operators Licence regulations. If this someone’s main business (income) relies on transporting horses to shows etc, they will then come under the regulations. All operators of vehicles over 7.5 MAM regardless of operating for hire & reward, or not, must abide by the driving hours regulations. How much weight can I carry on my vehicle? This is a simple calculation, but one in which you have to be very aware of all the variables. All vehicles over 3.5t should have a DVSA plate located in the vehicle stating the unladen weight and the gross permissible weight MAM (GVW). You simply take the unladen weight and then add the load being carried, and this should not exceed the MAM. A typical 7.5t horsebox will have an unladen weight of anything between 4t and 6t and the total MAM (GVW) including the load carried, cannot exceed 7.5t. So if your horsebox has an unladen weight of 5t, the load you carry cannot exceed 2.5t. If you are carrying 2 horses at 700 kg each, and feed and tack of say 500kg, this would total 1.9t, which would give you a total weight of 6.9t. To be sure of your vehicle’s weight, it is advisable to weight your vehicle at a public weighbridge, both A) empty, but with fuel and any passengers and B) loaded with horses and equipment. You’ll find some horseboxes are deceptively heavy, with a large body, high-end fittings and extra equipment, and this will vastly reduce your carrying capacity. You need to be careful because the law is very strict and the penalties are high with overloading, and ignorance is no defence. The same dynamics apply to vehicles under 3.5t MAM (GVW), and a vehicle and trailer combination, only more so. How do the Driving Hour’s Regulations affect me? All horseboxes 7.5t MAM (GVW) registered before 2006, do not need a tachograph fitted. However, all vehicles registered 2006 or after, must have a tachograph fitted. If you drive a horsebox between 3.5t and 7.5t for “personal use” and for “no financial gain”, you do not have to abide by the Driving Hours Regulations. However, if you drive a vehicle over 7.5t a tachograph must be fitted and you must comply with the Driving Hours regulations. Alternatively if you drive and horsebox between 3.5t and 7.5t for hire and reward you must have a tachograph fitted and must comply with the Driving Hours Regulations. This category of vehicle will also fall under the Operator’s Licence Regulations. The working time directive also applies to professional drivers, which will affect people driving for hire and reward. For further information you can download the Horsebox and trailer owner guide from the DVSA website. And if you still have any questions not answered, please ask below and we’ll do our best to give you an answer.